Professor Aleksandar Subic is the Deputy Vice-Chancellor (Research & Development) at Swinburne University of Technology. 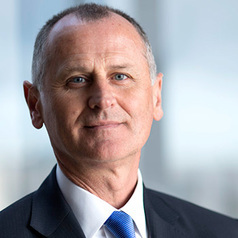 He is a member of the Prime Ministers Industry 4.0 Taskforce and Australian Industry Group (AiG) Advanced Manufacturing Council Leaders Group, and Board member of Australian Housing and Urban Research Institute (AHURI), Oceania Cybersecutiry Centre, National Imaging Facility, CRC and ARC centres of excellence and industry research transformation hubs. He served on European Research Council (ERC) and Excellence in Research Australia (ERA) assessment panels. Prior to his appointment at Swinburne University of Technology he held positions of Dean of Engineering, Head of School and Chair of Department at RMIT University.